Nick Leeson a.k.a. ‘the rogue trader’ is the man that broke Barings Bank . Curiosity, intrigue and sympathy have been the various reactions to this mans’ incredible life story. The collapse of Barings and Nick Leeson’s role in it is one of the most spectacular debacles in modern financial history. Nick Leeson’s life started as a classic rags-to-riches tale. He was the working class son of a plasterer from a Watford council estate, who failed his final maths exam and left school with a mere handful of qualifications. Nonetheless, in the early 1980s, he landed a job as a clerk with royal bank Coutts, followed by a string of jobs with other banks, ending up with Barings, where he quickly made an impression and was promoted to the trading floor. Before long, he was appointed manager of a new operation in futures markets on the Singapore Monetary Exchange (SIMEX) and was soon making millions for Barings by betting on the future direction of the Nikkei Index. His bosses back in London, who viewed with glee his large profits, trusted the whizzkid. Leeson and his wife Lisa seemed to have everything: a salary of £50,000 with bonuses of up to £150,000, weekends in exotic places, a smart apartment and frequent parties, and to top it all they even seemed to be very much in love. So how could one trader bring down the banking empire that had funded the Napoleonic Wars? 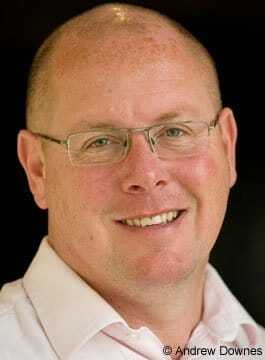 Nick Leeson, the young gambler who found him self sucked into a terrifying spiral of loss, was a working class boy who lived high in an upper class world until his unchecked gambling caused the downfall of Barings, the Banker to the English Peerage and caused chaos in the Singaporean money market. He guessed he would be jailed for the fraud and in the hope of being locked up in the UK rather than the Far East; the couple went on the run. He went first to an exclusive resort in Borneo, and then to Frankfurt. The world’s most wanted man on the cover of every newspaper checked in on his flight to Europe using his own name and hiding beneath a baseball cap. The German authorities were alerted and the Police were there to greet Leeson as he touched down. Eventually arrested in Frankfurt, Nick spent a few fraught months trying to escape extradition to Singapore. He failed and in December 1995 a court in Singapore sentenced him to six and a half years in prison. Lisa his wife got a job as an air-hostess to be able to visit him regularly. At first, their marriage survived the strain of being apart, but she eventually divorced him. Finally released in 1999, and despite his return to the UK bringing a realisation that the high life had been swept away — he was effectively homeless and without a job — Nick enjoyed a fairly hedonistic first year seeing friends and family but also continuing his cancer treatment. In his wake he had wiped out the 233 year old Baring investment Bank, who proudly counted the Queen as a client. The $1.3 billion dollars of liabilities he had run up was more than the entire capital and reserves of the bank. Investors saw their savings wiped out, and some 1,200 of Leeson’s fellow employees lost their Jobs. Dutch bank ING agreed to assume nearly all of Barings’ debt and acquired the bank for the princely sum of £1. Markets have always been cruel but rarely have they been so cruel, so swiftly and on so grand a scale. Nick Leeson talks frankly about what happened, the lack of accounting safeguards, his capture and confinement for 9 months in a Frankfurt prison and being sentenced to 6 ½ years by the Singapore court for forgery and cheating. Nick Leeson’s legendary story has since been turned into a best-selling book and was a box-office hit as a film with Ewan McGregor playing Nick.